Compost is available at 2250 A Street SW, Cedar Rapids, Iowa. Yard waste and food waste is accepted at 2250 A Street SW, Cedar Rapids, Iowa. Small residential loads of yard waste may also be dropped off at 1954 County Home Road, Marion, Iowa. GARBAGE & RECYCLING NOT ACCEPTED AT THIS LOCATION! Learn about the Mount Trashmore trails and overlook. 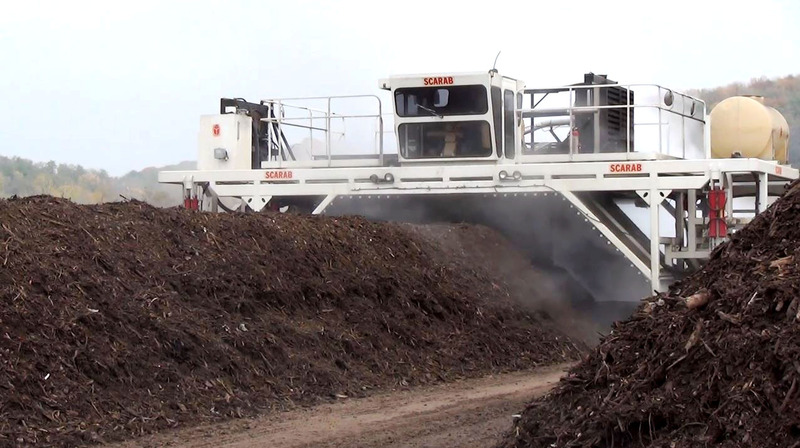 Wood chips are not colored or processed beyond shredding. Wood chips are useful to retain moisture in flower and garden beds. They also suppress the growth of unwanted weeds when applied over the topsoil. Food waste should be composted first and kept out of the regular trash and garbage disposal. Composting food waste conserves water versus using the garbage disposal. Old produce and vegetables can be composted at home or with the Agency. Find out all the details in the Food Waste page.